The number of menu options available within IDS varies depending upon the complexity of your IDS system. It may be a benefit to your users to only display to them those menu options that they will actually need to use. This has several benefits. Firstly, it simplifies their IDS screen. A simpler screen makes it easier to learn the system, and makes the user more efficient. Secondly, you may want some menu options only to be available to certain people for security or other reasons. 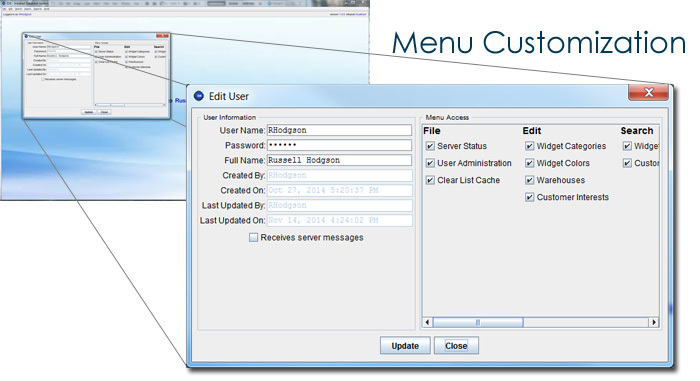 IDS allows you to select exactly which users have access to which menu options.